It is powered by a single Pro Micro. It could be built as a single segment or two/three. The board edge has cutouts to help align the pieces. 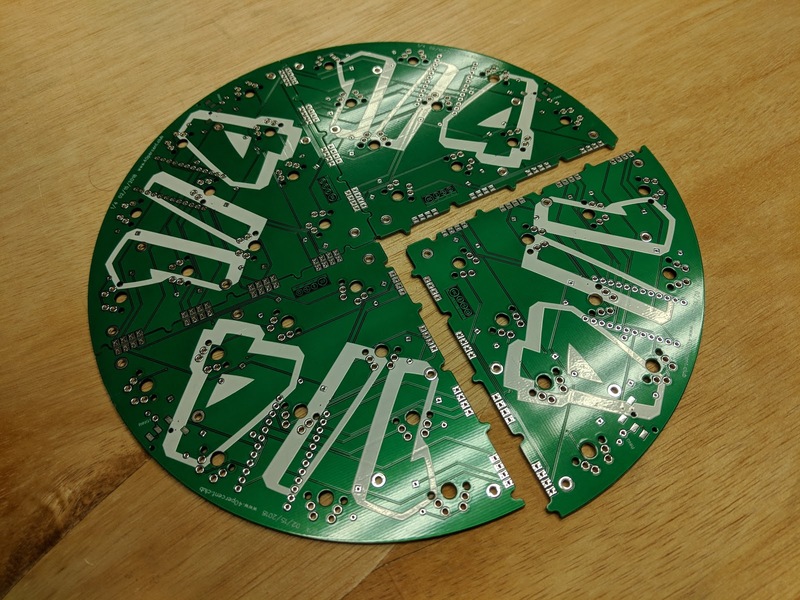 3 quarters in yellow PCB would look like PacMan. Gerbers on github. There is also a JSON file for use with kbfirmware.com. The outer row are alternating 1.75U, and 1.5U keycaps. Third row is 1.5U keycaps. Second row 1.25U, center 1U/1.25U. Sunflower. This is an earlier version of the board that uses a Arduino Micro instead of a Pro Micro. 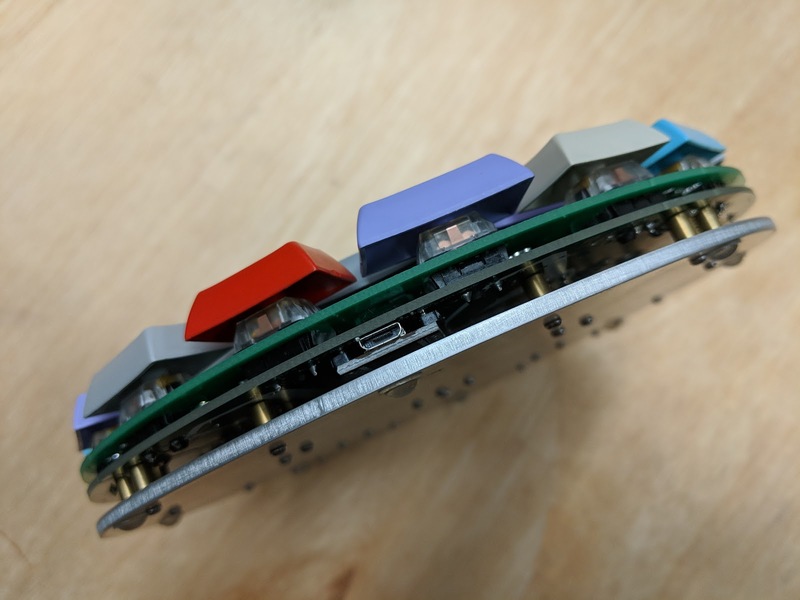 These are PCB mount switches without a top plate. I used a 1/8th thick 5052 aluminum circle I bought off eBay. 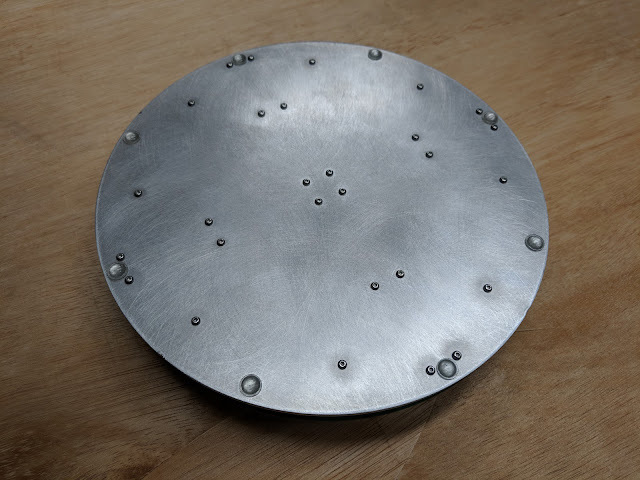 I taped a set of PCBs to the top and used it as a guide to drill the mount holes. Pro Micro from the side. M2 spacers and screws. There is a reset switch near the Pro Micro. There are also pads for a TRRS jack, but I have not tested a split version yet. 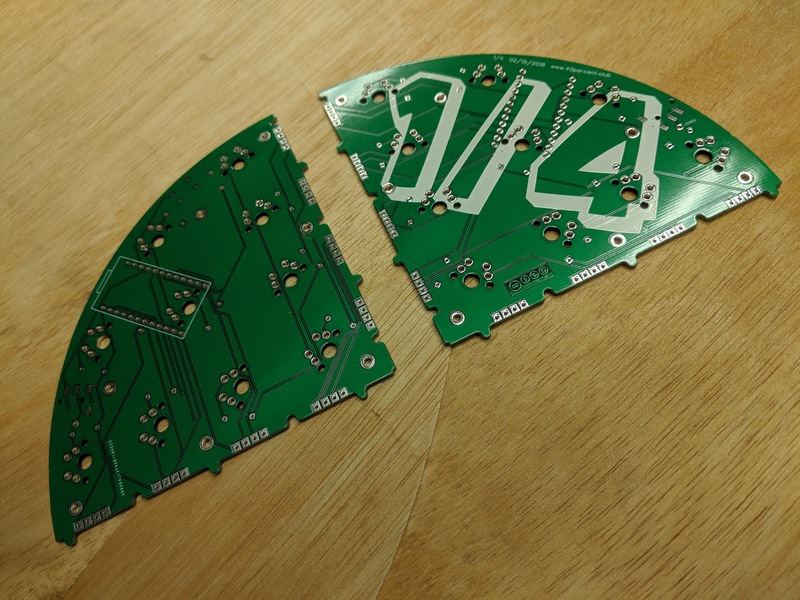 Top and bottom of the PCB.The edge cutouts are keyed and can not be assembled incorrectly. Quarters un-assembled. I use solder bridges to hold the segments together. 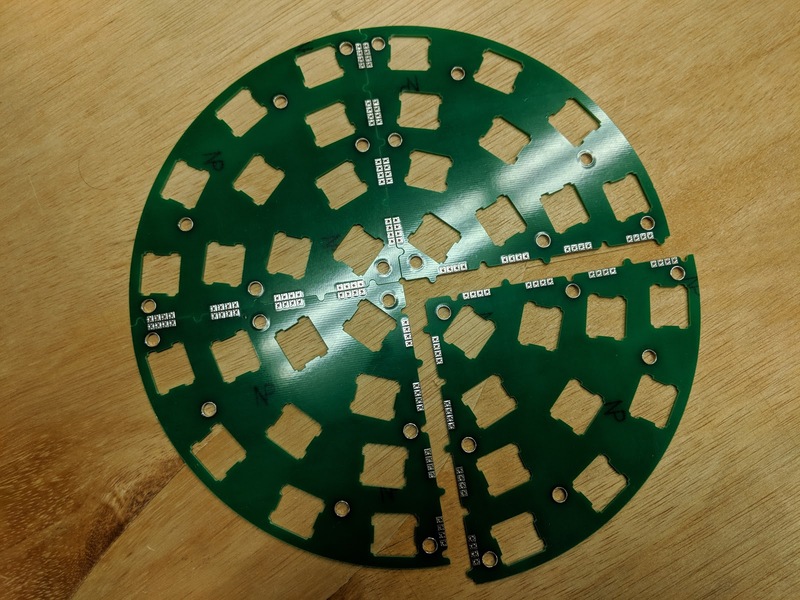 The solder bridges also create the electrical connections between the segments. The top plate has the same shape as the PCB. 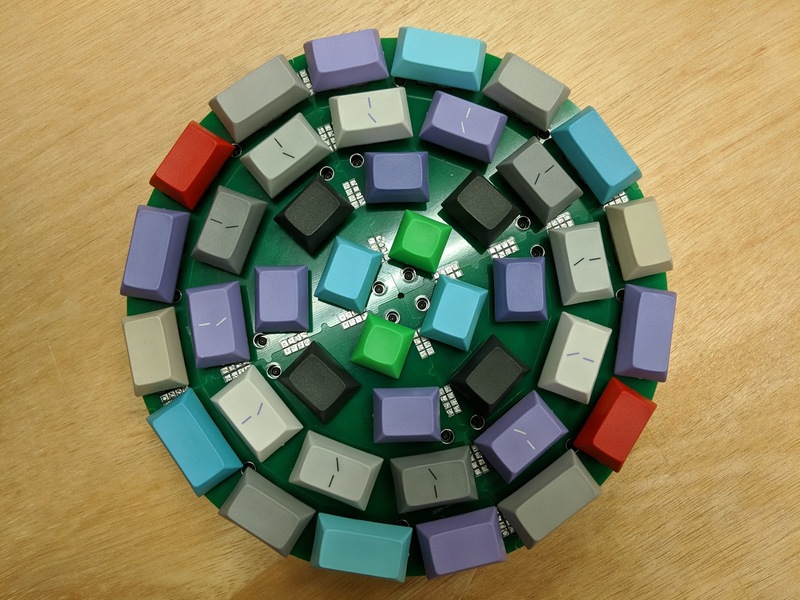 The radial pattern is not perfectly symmetrical so the top aligns with the PCB in only one orientation. 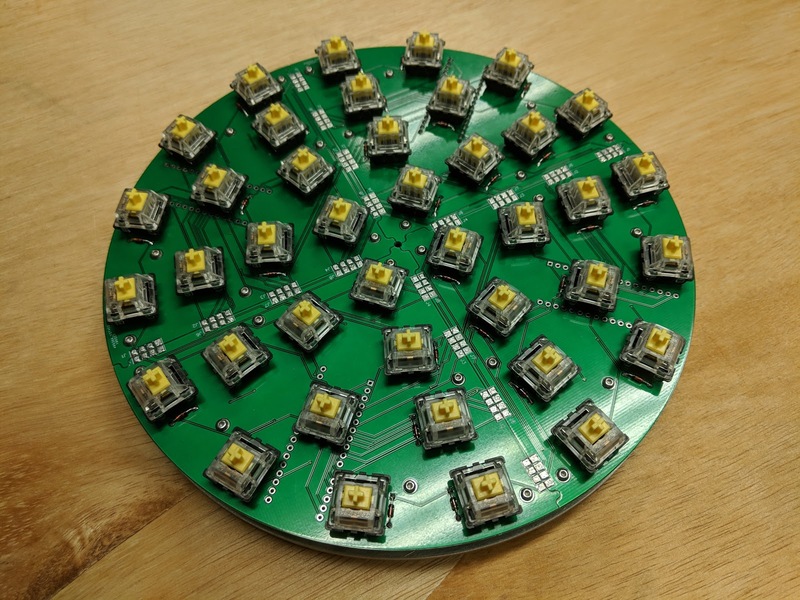 It is not possible to use PCB mount switches with the plate. This is due to a slight difference in the rotation of the switch footprint vs. the cutout in the plates. They are very close but not exact. Plate mount switches fit fine. No idea what this would be useful for. 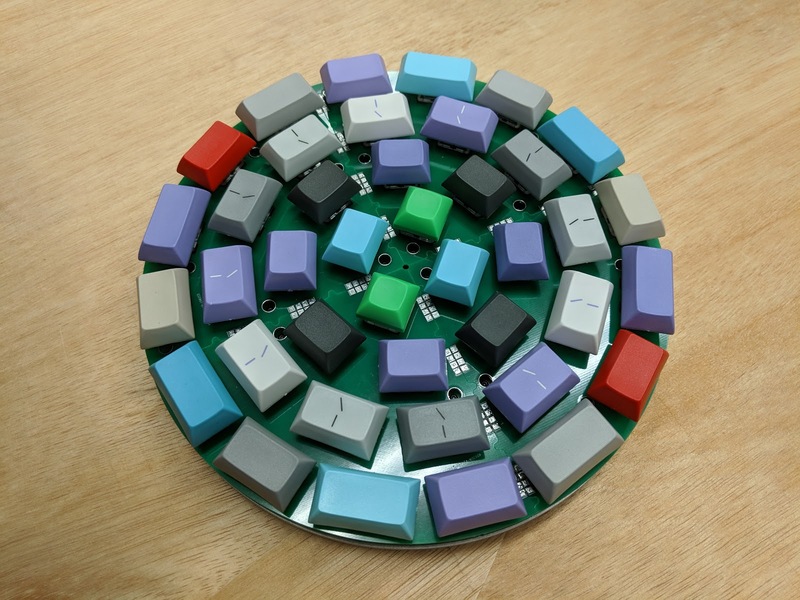 It was mostly an experiment to make something circular and play with interlocking board shapes.